You find a geocache in an inspiring location, what log do you leave on the geocache page for the cache owner and other geocachers? Here are 5 quick ways to inspire your fellow geocachers with your next log entry. It’s easy to share too. Just forward this email to your fellow geocachers and watch the geocache-logging knowledge spread. 1) Tell Your Story – The geocache log you write is like the preview to a movie. You’re telling geocachers about an adventure they could experience. Maybe your journey involved seeing the first leaves of spring, looking out from a mountain top or meeting other geocachers on the trail. Your logs help other geocachers decide if the geocache looks fun and exciting enough for them to find. 2) Add a Picture – A picture of a geocacher’s crooked smile after a find says a lot about a geocache. It’s easy to upload pictures on-the-fly with the Geocaching mobile app. If you’re wondering about the power of a picture in a log, check out the 1000 most recent log images. 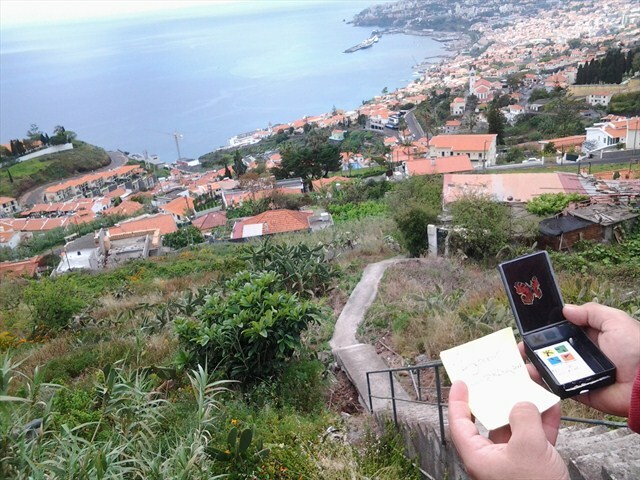 It’s an ever-changing visual gallery of geocaching pictures from around the globe. 3) Name Some Names – Geocaching is all about community. Share the geocaching usernames of those who joined you out in the field. It’s a quick way to help build the local geocaching community and it makes meeting people at Geocaching Mega-Events or Event Caches easier. 5) Say Thanks – It’s easy. Watch this, “Thank you for reading this Geocaching Weekly Newsletter.” It feels good. When you log a geocache and say “thank you” it means so much to the geocacher who hid and maintains the geocache. And don’t forget, if the geocache needs maintenance, leave a “Needs Maintenance” log. The Geocaching Weekly Newsletter is receiving a facelift. You’ll see an updated design with streamlined entries for Nearby Events and Recent Geocaches. Expect it to be in your inbox within a week or two.